Even the most casual reader of Costa Rican news in recent weeks has certainly wondered – what’s with all the cement? What is the #Cementazo, exactly, and why is it dominating headlines in the nation’s dailies and news broadcasts? The connections between government leaders, a public bank and a Costa Rican importer of Chinese cement have been the subject of massive media scrutiny and a Legislative Assembly investigation in recent months. 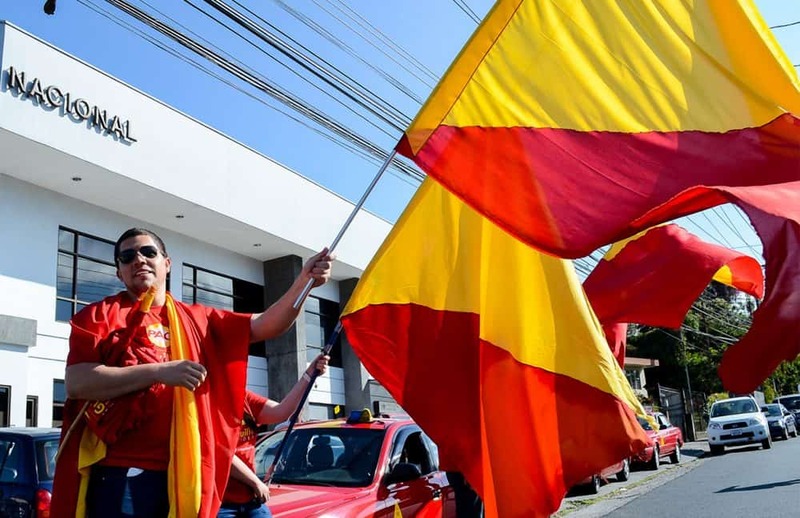 Here, Costa Rican journalist Alvaro Murillo, who has covered the case extensively for Semanario Universidad, takes an in-depth look at the often confusing, frequently surprising, and still ongoing case, and what it means for Costa Rica. Cement used to be a building material that no one in Costa Rica had talked about. There was no reason to: market demands were always met, and the primary consumers adapted to any price changes in a consolidated, apparently tolerated duopoly. The market that moved up to 1.5 million tons of cement a year worked like a silent clock in a system that was adverse to any competition. Little did we know that cement was about to transform itself, against all predictions, into a national spider web. A foul political tangle just before the 2018 elections, about which most authorities don’t even want to comment over the phone, as if they fear someone will hear what they have to say. A saga that would include a false bomb threat in a public bank; a police order to take a business leader to testify before national legislators, testimony that included the statement that he couldn’t remember whether or not he owns an airplane; an alleged death threat against a legislator investigating the case; and an interrogation of the President of the Republic, televised and analyzed on social networks as if it were a soccer match. Suspicions, rumors and hints abound, about people from various political parties and branches of government. A magistrate from the Supreme Court was on a flight with the businessman and cement importer, justified as nothing more than a huge coincidence, because the judge says he had made the trip only to buy clothes for his baby. Various media are facing off over the issue and we don’t even know what’s still to come – only that, without a doubt, more is still to come. This are all incredible developments from a sector that, in 2014, was steadily managing the nearly $400 million that, according to calculations, were moved each year in a market controlled by two transnational businesses, Holcim and Cemex, well-established and without any threat of change. What happened next? Change, that’s what. The triumph of the Citizen Action Party (PAC) at the polls in 2014 – a massive shift for a country that had been dominated by two political parties, National Liberation and Social Christian Unity, for more than 50 years – meant a rupture that went far beyond the political realm. The traditional business class had to begin to reach out in new ways, and the new administration prompted adjustments in the little Costa Rican market. In the case of cement, the administration of President Luis Guillermo Solís made an important decision: to open the doors to imported cement, even though he had never made such a promise on the campaign trail, or even hinted at it. The new Minister of the Economy, Wélmer Ramos, saw a way to fulfill something that he’d seen discussed so many times when he was an advisor at the Legislative Assembly: opening up the cement market to lower prices for consumers and add dynamism to the national economy. Market theory. So far: totally normal. But at the same time, in parallel, a new actor was rising on the scene, an unknown businessman who dared to bring cement from China, where the price is so low that, according to him, it more than makes up for the price of transporting it from Costa Rica to China. His name is Juan Carlos Bolaños. He’s 38 years old and boasts a decade of experience in the construction of public works with the National Emergency Commission (CNE), which, between 2010-2017, granted Bolaños contracts worth almost $14 million. Bolaños has said that he got tired of accepting the prices imposed by Holcim and Cemex, and decided to cross the Pacific to meet his demand. He then wanted to commercialize the Chinese cement, and had a coincidence in his favor: the Costa Rican government, at that very moment, was reforming regulations to permit this. Frequent meetings between Bolaños and the authorities of the Executive and Legislative Branches have raised suspicions that this coincidence may have been coordinated behind the scenes. 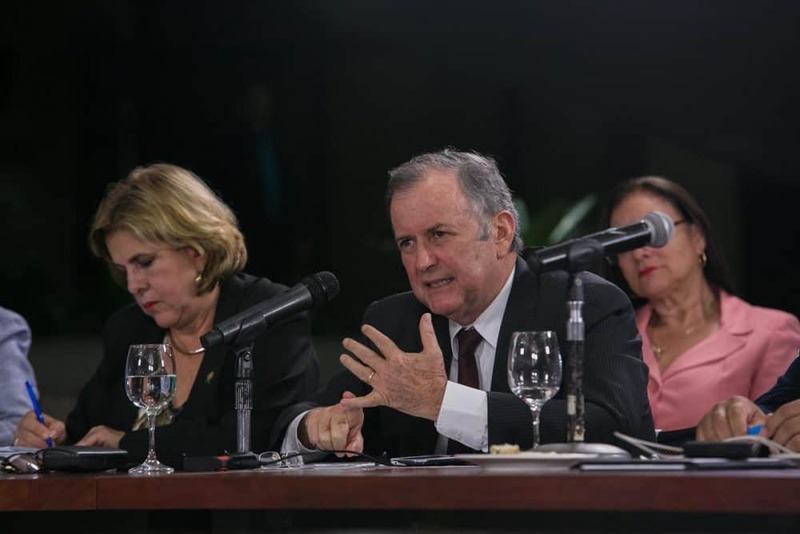 President Solís, in his aforementioned televised testimony from Casa Presidencial, insisted that his administration has always had a policy of breaking up the Holcim-Cemex duopoly, and that nothing was done specifically for Bolaños. In 2016, Holcim’s CEO pointed to a political component: “We are experiencing in the industry a repercussion of what the country experienced in politics in 2014,” he told me at the time during an interview for Semanario Universidad. But nothing would have been possible for Bolaños without two loans that the Banco de Costa Rica (BCR) approved for $30 million, thanks to an internal rule change. It was a corporate decision: the minutes of the BCR board meeting on Oct. 14, 2015, specifically mentioned the intention of financing the importation of cement from China, not from any other country. At the time, the credit request from Bolaños was already being processed.Today, the BCR has been overtaken by conflict over the decision. Board member Paola Mora resigned as a director on a day when there was a bomb threat at the bank, which turned out to be false. The bank suspended manager Mario Barrenechea for three months and, in this uncertain climate, Pedro Pablo Quirós – the director of the trust for a project to widen the San José-San Ramón highway, hired in February by the manager – also resigned. What does all of this have to do with cement? Suspicions abound, but nothing is confirmed. Bank board members have expressed fears that Bolaños will not pay back the loan and the bank will end up losing that money, since the cement has just barely made it into the country and complaints have emerged of legal maneuvering not contemplated in the business plan approved by the BCR when it approved the loan. What do events at the Banco de Costa Rica have to do with President Luis Guillermo Solís? Members of the public banks’ boards of directors are named by the Executive Branch, and the Solís administration has named five of the seven current directors. All but one are former PAC legislators; the other, Paola Mora, is from the political party of Mariano Figueres, the current chief of the Intelligence and Security Division (DIS) and a member of President Solís’ inner circle. Bank board member Ronald Solís has also stated that Mariano Figueres put forward Barrenechea, whose son sells Chinese cement, for the post of BCR bank manager. “The President of the Republic has no friends,” President Solís said during his testimony. He denied that any special role was played by members of that inner circle, including Figueres and PAC legislator Víctor Morales Zapata, another central figure in the case, who reportedly accepted a vacation booked by a Bolaños partner and has allegedly advocated for Bolaños at key moments. President Solís said on Sept. 4 that he had asked for the legislator’s resignation. Morales responded that he would not resign as a legislator, but he would leave the PAC. Now, he’s an independent legislator – a change that is unlikely to have a big impact, since the legislator has already shown a tendency to act independently and not toe the party line. PAC members celebrate the fact that this uncomfortable figure is out of their ranks. They know that the 2018 political campaign is heating up, and the “cementazo,” as the case has become popularly known, could be lethal to PAC’s chances of winning the presidency once again, this time with Carlos Alvarado as the candidate. Other parties are trying to take advantage and bring Alvarado down, but the truth is that this case seems to be an exploding bomb that hurts everyone who is near it, not just one person. 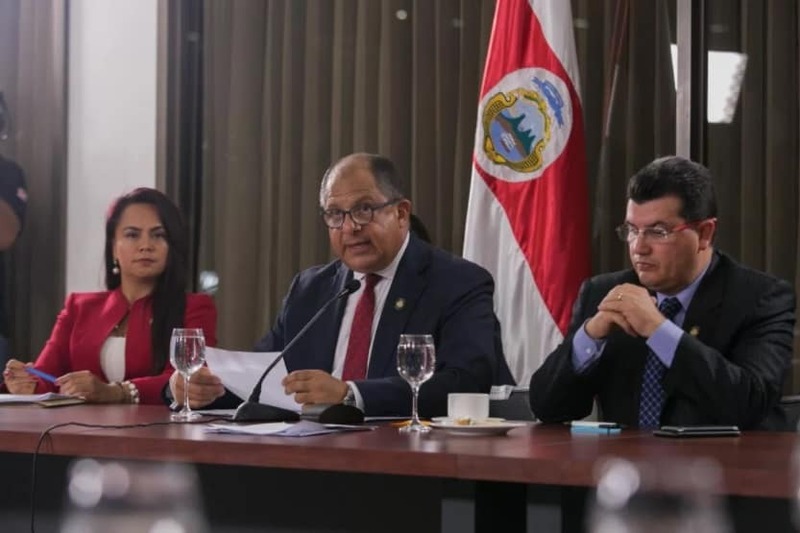 For example, the National Liberation Party (PLN) seems to be on the fire at the moment as it struggles to choose between protecting some of its own figures or pushing for a serious investigation in a special legislative commission led by one of its own, Ronny Monge. Last week, a Liberation legislator denounced alleged pressures on her to vote against a motion to question a group of legislators about the case, including a Liberation colleague. Magistrate Celso Gamboa has also been questioned in the case, and while he is close to politicians across the spectrum, he has close Liberation ties. Why has Gamboa been questioned? Well, this judge, an agent of change in the patterns of the Judicial Branch hierarchy he joined in February 2016, has admitted a connection to Bolaños. They have met on various occasions, the most unsettling being a one-day trip to Panama with tickets reportedly bought at the same time. On the same day, Dai Wuping, a Chinese business executive Bolaños has identified as one of his providers, made the same trip. Did the three men travel together? It seems so. To do what? The judge has stated that he went only to buy clothes for his baby. The business executive has said that he has never met Bolaños, only seeing him on television. That is why legislators attempted to call the magistrate to testify before the Legislative Assembly committee investigating the case – he is a former security Minister and once held Mariano Figueres’ position, the head of the DIS – and to have an investigation launched over at the Judicial Branch. There is so much left to learn. Rumors and conspiracy theories abound. 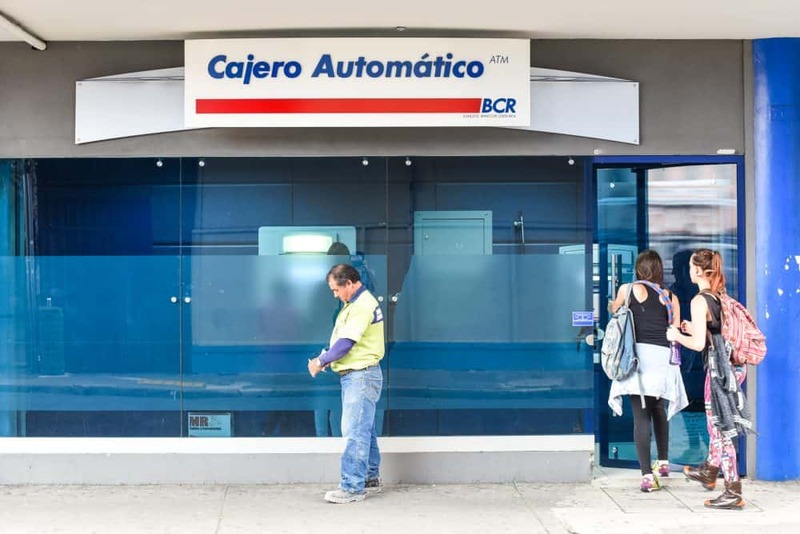 Other public banks are reviewing their interactions with Bolaños with great concern. Questions have surfaced regarding what many call a passive response by the Public Ministry and its chief, Jorge Chavarría. Are we witnessing a scam playing out at a public bank, a fear some bank board members have expressed? Is this all an institutional reorganization to nurture Bolaños’ operations and put the squeeze on the Holcim and Cemex duopoly? Is it a Robin Hood scheme? Is it just a commercial war tainted by political elements and alleged illegalities to avoid opening the cement market? Is Bolaños acting alone or is there a more powerful economic group behind him? What do the major construction companies in Costa Rica have to say about it? Has the cement duopoly really been broken, and has the price come down? At Semanario Universidad we consulted the Institute of Statistics and Census (INEC), and we confirmed that when Chinese cement entered the market, in 2015, cement prices stopped rising. This, despite the fact that the importing company, Sinocem Costa Rica, represents less than 3 percent of the market and is now facing questions about its commercial, political and perhaps legal sustainability. It wouldn’t be the first time a third market actor has to take down its sign and close up shop. It happened in 2012, when the market settled into the hands of two large businesses and no one thought cement would become political dynamite in 2017. Now we know that, while the public receives a steady drip of information and the case is discussed with considerable political heat, a new cement company is getting ready to begin production in Costa Rica. It’s the property of a business leader much better known than Bolaños. It’s a big fish. Welcome, Carlos Slim, to the convulsive Costa Rican cement market. Welcome to a shire afflicted by a political spiderweb whose likes have never before been seen here: complicated, sticky and still incomplete. Read Alvaro Murillo’s “No Sugar, Please” columns here. Álvaro Murillo is an experienced journalist who specializes in political coverage and has written for La Nación, Semanario Universidad and El País. In his Tico Times column “No Sugar, Please,” he explores politics in its broadest terms, from the halls of government to community life. Connect with him on Twitter.